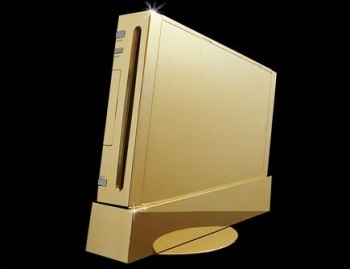 The Wii console, along with its software and peripherals, topped Amazon.com's bestselling list for videogames in 2009. The Wii Remote controller was second bestselling videogame product, followed by Wii Motion Plus addon, which was released on June 8th. The Nunchuk and Wii games such as Wii Fit and New Super Mario Bros. Wii round out the top slots until the first non-Wii product, Modern Warfare 2 on the Xbox 360, enters at #9. Game companies typically announce numbers of units sold only when it behooves them to, so independent data from retailers is vital. While not necessarily gaming-based, Amazon.com is still the leading online retailer. On Amazon in 2009, the Wii console and related products crushed the competition. Many factors have had pundits predicting that Wii sales will continue to fall, including Nintendo slowing production of the console and the emergence of the PS3 in 2009. While this list at Amazon is by no means exhaustive of all videogame sales, it remains an important indicator that, for now, sales of the Wii remain strong.